We are delighted that you got to visit our site and are looking forward for a visit from you soon. 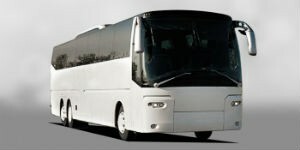 Our company, located in Washington provides DC bus rental services for customers all over Washington DC including Maryland and Virginia. We have been serving DC for years; we understand the needs of our customers quite well. With 24 hours operation, trained chauffeurs and friendly staff, everyone is sure to get the attention they need. We provide well maintained, late model and luxurious wedding buses that will impress your guest and make your special day complete. 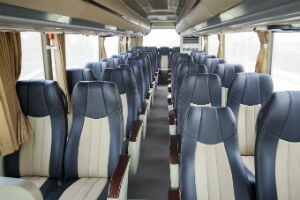 The buses have refreshments, soft seats, on board entertainment and luggage storage areas. Rent our spacious buses to carry your guest, family and friends to your wedding venue and reception at low rates. Many Government Agencies, Corporations, Organizations, Schools, Churches has used our services over the years with great service experiences. If you are looking to have long term relationship with Bus Rental in DC then you are on the right track as our business rates are amazing. Time is our first priority and flexibility is something we are quite good at. For corporate outings, airport transport and regular transport, DC bus rental got you covered. 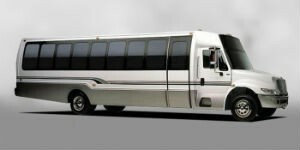 How about arriving to prom as a class in flashy and booming buses? We guarantee you that this will stick in the minds of your mates for as long as prom exists. Transform your party from indoors to outdoors on the road in our buses which provides enough dancing space and entertainment.